Bentham Pottery is a long-established thriving craft pottery located near Ingleton in North Yorkshire on the edge of the Yorkshire Dales, selling pottery and teaching pottery courses. Interested in doing a pottery course? 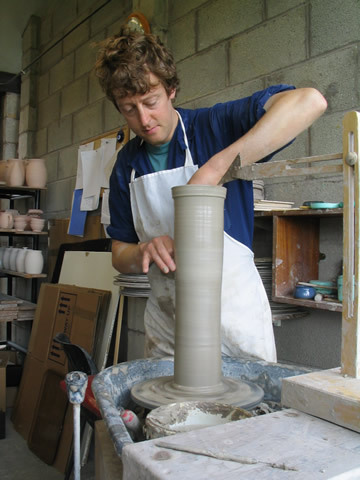 Want to have a go at throwing or improving your pottery skills? Our pottery courses cater for all ages and abilities. See full details of our pottery courses including costs here. Bentham Pottery offers pottery courses in the Yorkshire Dales, North Yorkshire, close to the village of Ingleton inbetween Settle and Kirkby Lonsdale. Being in the North West close to the borders of Lancashire & Cumbria, we are within easy reach of Kendal, Lancaster, Leeds, Bradford , Manchester & the Lake District. cater for larger groups (up to 10 people) such as birthday parties, hen parties, team building / group events etc. conduct pottery courses/workshops at your own venue, eg schools, (wheel can be supplied). run some regular weekly local pottery classes, both during the day and evening, according to demand. supply pottery course gift vouchers for pottery courses which make unusual, thoughtful Christmas, birthday, anniversary or retirement presents. Gift vouchers for pottery courses can be emailed (handy for last minute presents) or posted. See what other people have said about attending a course at Bentham Pottery. Contact us for details of any of these. 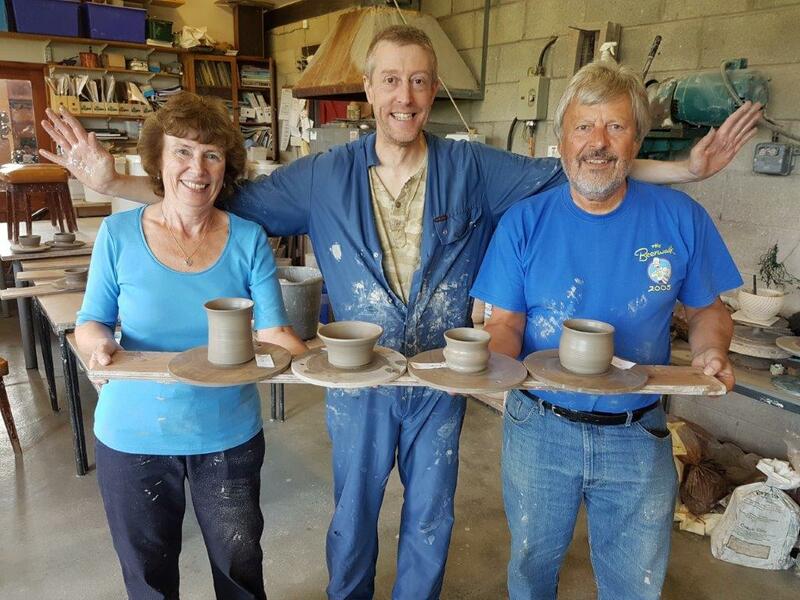 Why not make a Bentham Pottery course part of a multi-activity holiday, perfect for families, couples and friends? A range of high quality dish washer/oven proof domestic ceramic pottery wares are produced, as well as one off pots, named logo beakers, salt pigs (salt pots), ceramic house signs and specially commissioned commemorative plates (anniversary/birthday plates make ideal gifts). 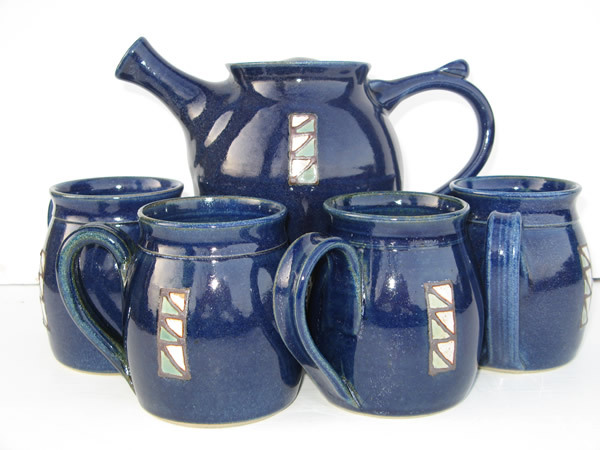 Bentham Pottery is famous for its “Bentham blue” range, which has been in production now for over 20 years. All the pottery is hand thrown on a wheel and is hand decorated. Visitors are welcome to look around the shop/showroom, see the potters at work and have a tour of the workshop.